Little Keira's Bows: Our new collection of felt clips! Our new collection of felt clips! 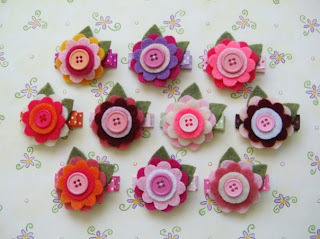 Just wanted to share the newest collection of felt clips: The First Bloomer! They are perfect for all the spring and summer outfits, and they all come with two little olive green leaves! A few of them are already listed in my shop!